One of the most challenging assignments we have had was to make a series of photos to illustrate a recipe. Challenging as you had to make the pictures interesting and appetising and deal with photographing in a kitchen. 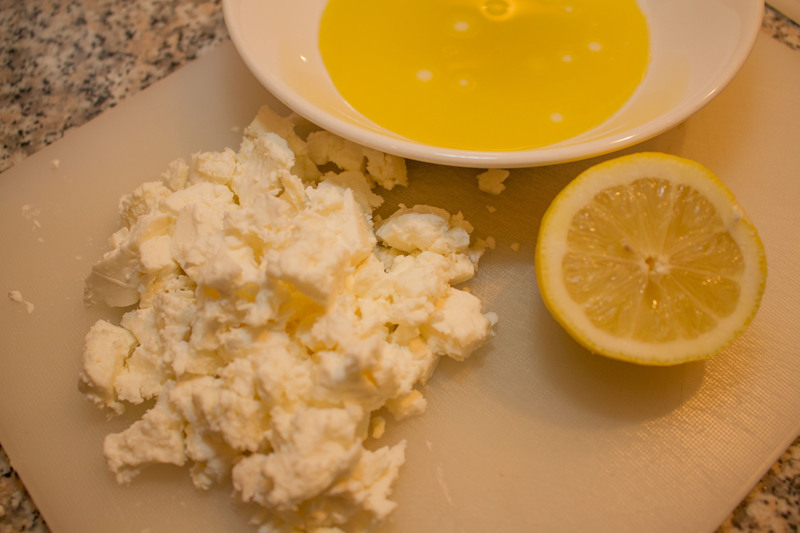 Break up the feta and let it sit in the lemon juice and half the olive oil. 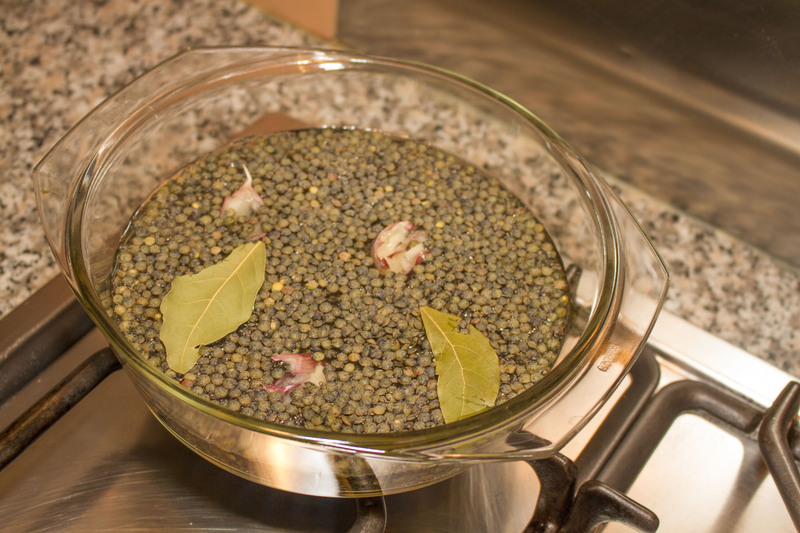 Tip the lentils in a large saucepan of water, add the garlic and the bay leaves and cook for 20-25 minutes or until tender. They must not be soft. 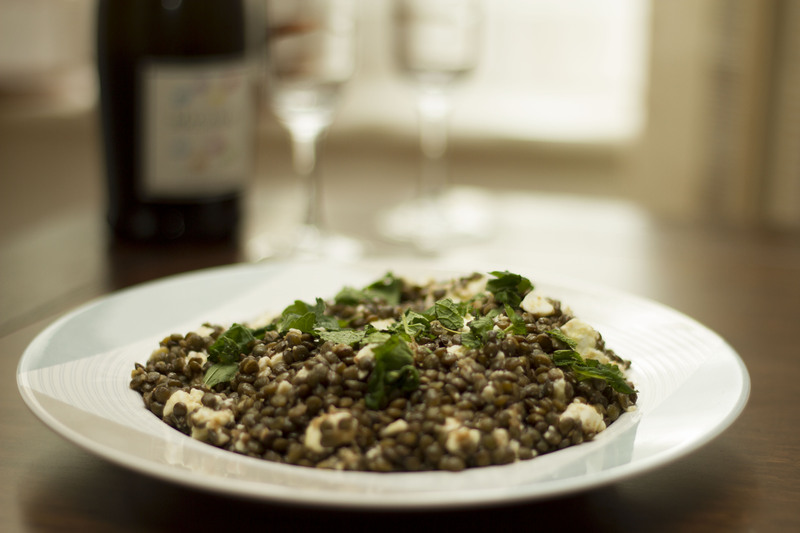 Drain the lentils, discard the bay leaves and pour the remaining olive oil over them while they are still warm. Season with black pepper. 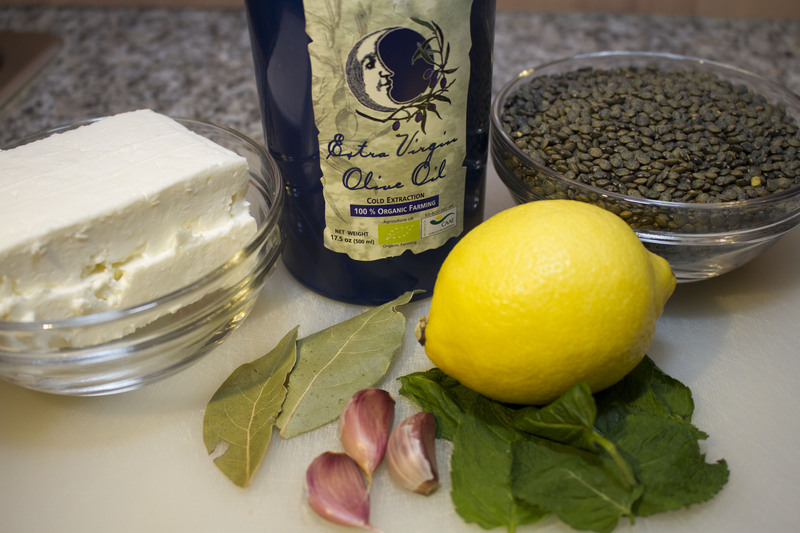 Add the marinated feta and sprinkle over with the fresh chopped mint. This entry was posted in Food Photography, Kensington & Chelsea College, Photography, Restaurants and tagged Lentils, Recipes, Romance. This past week I was asked by a friend to photograph some of the dishes of her restaurant for an advertising she is planning. It was my first attempt at food photography and it is a good thing that in class we covered some of the pitfalls of photographing cooked meals. I experimented with different backgrounds, depths-of-field, white balance settings and flash. Here is a sample of the result. What do you think? This entry was posted in Epicure, Photography, Restaurants and tagged Commercial-Advertising, food photography, Vietnamese cuisine.